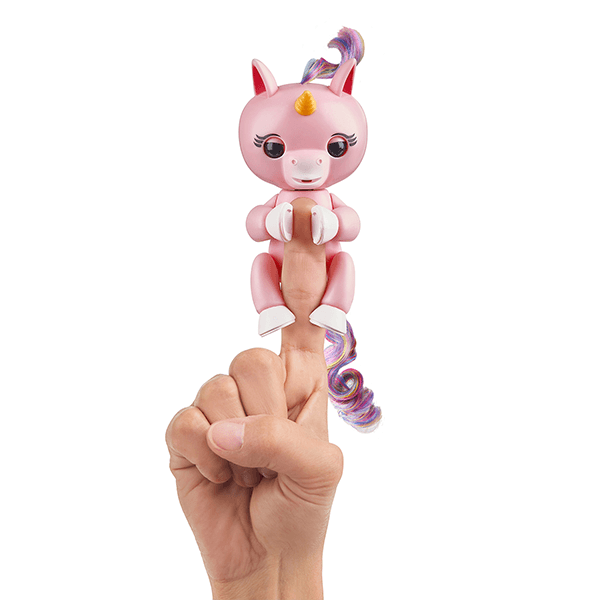 Your own baby unicorn, right at your fingertips! This unique little pet responds to you with special unicorn sounds in response to noise, motion & touch. She will let you know how she feels with her adorable blinking eyes and head turns. Receive different reactions based on your motions, such as petting her, rocking her to sleep, or holding her upside down. Even blow her a kiss and she will kiss you right back! Niece thinks this is "super cute" She's also told me that this is the one she's been wanting since before she knew it existed. Kids can be so funny sometimes! 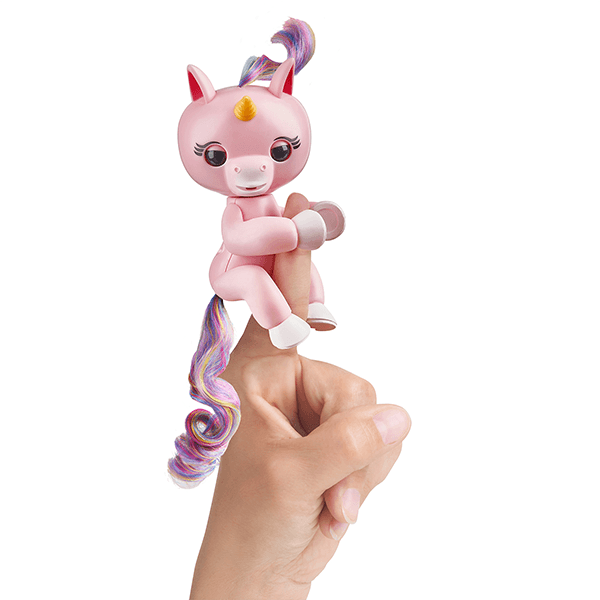 If You Liked Fingerlings Gemma the Unicorn Light Pink, See More Related Products Below!